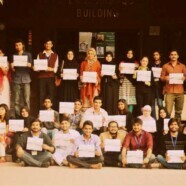 On 18 November 2014, the Senior Biology Society (SBS) organized an informal certificate distribution ceremony for the organizing team and the volunteers of the International Conference on Emerging Trends in Life Sciences for Sustainable Development which took place from 9 to 11 October 2014. Chairperson Department of Biological Sciences Dr Wajahat Hussain graced the ceremony and presented the organizing team of SBS with certificates. Advisor SBS Dr Muhammad Irfan and Manager PABIC Muhammad Adeel presented certificates to the volunteers. 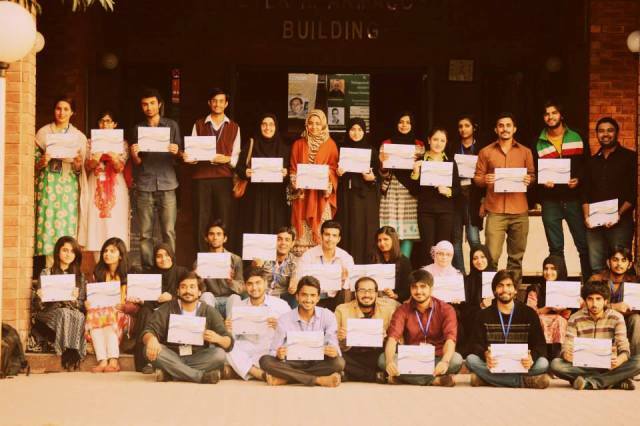 The event came to an end with a group photo of organizing team and volunteers with their certificates.